The immune system is a defense mechanism that the body uses to fight off viruses, bacteria, and parasites that may be attempting to invade the body. 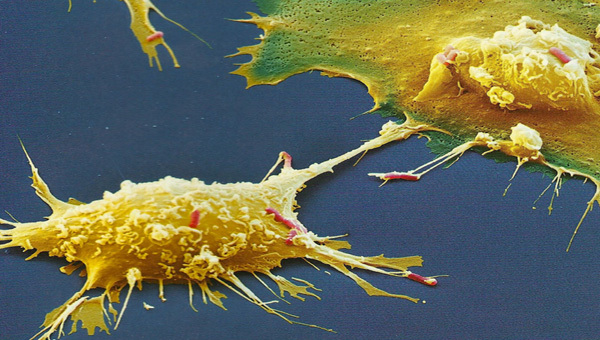 The main players in the immune system are the immune cells, like the one in the picture above. There are many different types of immune cells like white blood cells, B cells, T cells, Macrophages, etc. If you can imagine that the immune system is your body’s military, then these cells are the soldiers. Each one has a specific duty. Some go around labeling pathogens that have invaded the body, and others have the job of destroying the invaders. The immune system is unbelievably resilient and strong. When you are not sick it is because your immune system is constantly fighting off germs and winning. If you don’t get enough sleep, or you have poor nutrition, your immune system can get weak and that is when you will start to get sick.